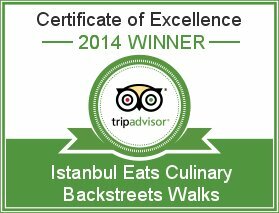 Our favorite Istanbul experiences include exploring the eateries of local markets and crossing the Bosphorus on the public ferry. 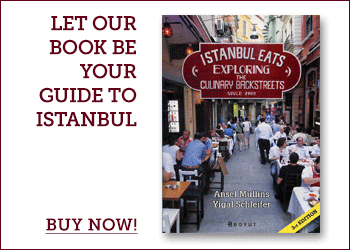 The “Two Markets, Two Continents” route draws from our best-of list in the European side’s Karaköy neighborhood and the Asian side’s Kadıköy, tied together by a Bosphorus crossing. The historic Perşembe Pazarı of Karaköy, where this walk begins, might look like a place to buy springs, ship anchors, hardware and paint supplies, but we go there for breakfast at a lovely little esnaf lokantası run by a husband-and-wife team, followed by a stroll through the atmospheric mariner market streets, where we stop into an Ottoman-era caravanserai for tea. Then we hop the boat to Kadıköy on the Asian side and eat our way through that neighborhood’s market, sampling regional specialties such as Mersin’s tantuni, Gaziantep’s lahmacun and the ıslama köfte of Adapazarı. We continue on toward the lesser-explored culinary hotspot of Moda, where we will taste life-changing traditional desserts from Turkey’s Southeast and Black Sea regions and, to round things out, visit a neighborhood institution for authentic Turkish ice cream. Still have questions? 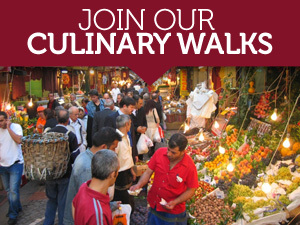 Contact us at walks@culinarybackstreets.